Umm, ok, super rare Venus 6B Patent Finish circa 1920's on top. These are real beauties here. Hard to find the old lefties especially in the high B range. Compare to the more common righty models finish (bottom two pencils). NOTE: The top lefty is available for purchase. In 1860, Edward Weissenborn set up his pencil factory in Jersey City Heights, New Jersey. It was called the American Lead Pencil Company. 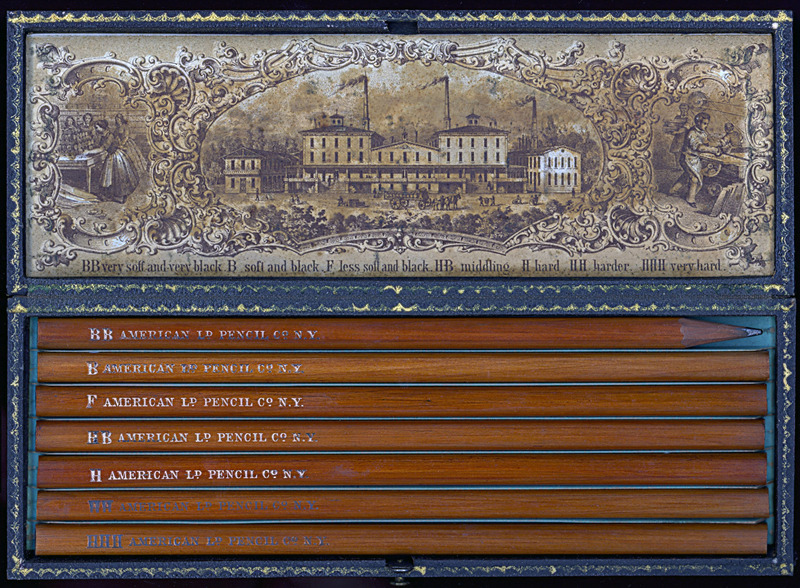 In 1885, the American Lead Pencil Company was sold to the Reckford Family and by 1915 their New Jersey factories employed more than 2,000 people. In 1956 they changed the name to Venus Pen and Pencil Corp., and in 1967 they became Venus-Esterbrook through mergers. Then in 1971 they were bought out by Berol who two years later was acquired by Faber-Castell USA. The company was ultimately brought in under the Sanford Corporation during another buyout/merger while part of parent company Newell Rubbermaid (now Newell Brands).